RGCD: RGCD at GameCity / Super Bread Box Release Date! This game is amazing. I've tryed the winner 16ks version but this is even GREATER !!!!!!!! 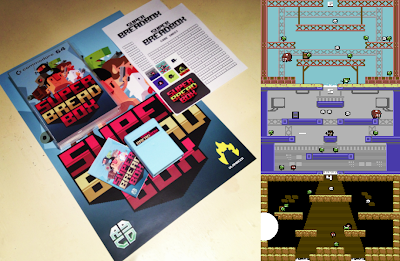 Super Bread Box is pure pick up, play and enjoy. I have played all kinds of games from owning a vic-20 , to amiga scene to latest FPS games. Nutshell - this game is really worth the low price for digital download. Sound is chiptune wonderfulness. Collision detection is spot on. Gameplay honed to 'just right'.